"Nobody knows anything". So goes William Goldman's celebrated line on Hollywood. And although F1 has in recent times has given a good impression of one whose results can be called well in advance, it applies to that too. No matter what else happens the first season's gathering, and particularly the first qualifying session, always will have the paddock on tenterhooks. As it is a confirmation. Talk is replaced by numbers on a stopwatch which are hard to deny. After however many weeks and months of work, clues and no little speculation, this impending season-opening weekend around Melbourne's Albert Park is the latest F1 equivalent of getting your exam results. And despite the attempts to give an impression otherwise, no one really knows what will happen. As is expected between seasons with no great regulation shift pre-season testing just passed in Barcelona suggested no grand reshuffle in the competitive order since 2017. Yet it offered points of intrigue, not least the prospect of a tighter battle between the 'big three' teams. Ferrari of course gave Mercedes a stern test last season, and it started with Sebastian Vettel facing down the Lewis Hamilton's Merc to win here last year. Twelve months on the Scuderia's pre-season testing didn't appear quite as strong as then, more it was enigmatic. But it did show flickers of promise towards the end. Nevertheless not too many left Barcelona without a sense that Mercedes remains pretty comfortable out front, and is favourite for the opener. It hasn't taken all titles in this hybrid era by chance and, soberingly, has conspicuous 'easy' gains to make for this year's machine from last year's 'diva'. 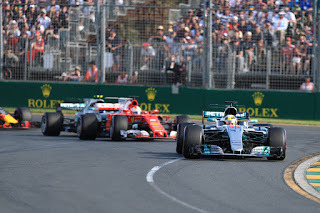 In a stat that is less comfortable for it however Hamilton has 'only' converted two of his six Melbourne poles to wins. We started testing assuming McLaren - shorn of its Honda engine - would be a clear fourth best, but its Barcelona running was bitty although a big upgrade is expected for this round. 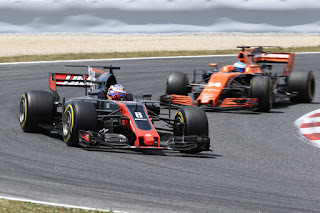 Renault instead looked like it may have the legs of McLaren while Haas against just about all expectations had by testing's consensus the fourth quickest car. 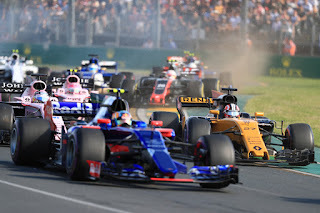 Then again in previous years the Haas's pace has varied markedly between circuits, so it remains to be seen the extent that all converts to very different Melbourne from chill Barcelona. Fourth place incumbent Force India underwhelmed in Barcelona but is another with a big upgrade on tap for this opening round and more generally is never to be underestimated. Williams appeared to be struggling in testing, as did Sauber. Toro Rosso surprised a few with the mileage it got from the Honda but despite this didn't look all that quick. Throughout last season tougher Pirellis meant 'Bridgestone-style' one-stop strategies as a default. 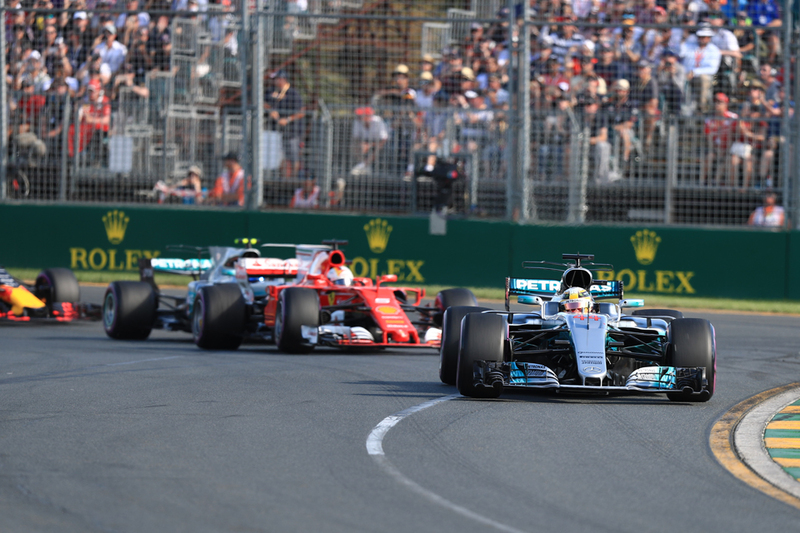 Pirelli has sought to address this and two-stoppers at most venues are now expected, though Albert Park races historically have varied anywhere between one and three. Most competitors have been happy to pile high on the softest compound available this time, the ultra-soft. An ultra-soft/soft one-stop was the dominant approach 12 months ago. Could Haas head the midfield fight? We can add the more general peculiarities of the Albert Park track: a temporary circuit, low on grip, narrow and bumpy. Its layout also is unusual on the modern calendar, being made up mainly of short-ish straights separated by braking and acceleration zones in and out of chicane-like complexes. Finding a suitably nimble set-up can be hard, especially this early in a car's life. Or perhaps track position won't count for that much, as Albert Park races are often madcap. Walls are close to welcome those who get it wrong, incidents usually are frequent, as are safety car appearances. Possibly a reflection of all this is that the poleman has only won two of the last eight Grands Prix here. Rain is fairly common in Melbourne's autumn too; long range forecasts have currently showers for around race time. Combined with this reliability also is likely to be at its weakest in this early part of the season. Only 13 made the finish last year which means smaller teams look at this race as a rare opportunity for a higher than usual result. And such is the points system it can actually frame the season's all-important (for money) final constructors' placing already. The Albert Park circuit's peculiarities also provide a get-out though - those who disappoint will hope that the more standard challenges in the future rounds will provide their salvation. 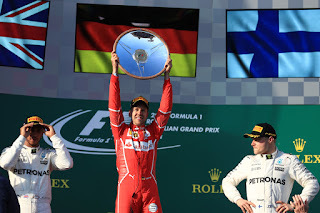 F1, like Hollywood, has its own aphorisms. And one applies here. When the flag drops, the b******t stops. F1 sessions aren't started by flags anymore, but the fundamental holds firm. The first round of the season as ever will answer a lot of questions. Don't hit anyone on the first lap. No starts for a long time. No practice starts. No inside corner moves.I call it the sucker hole. No hit the apex, someone is there. Stay in your lane. Changing the wing on lap 1 will likely end that cars' race. Break downs will again drop a lot of cars out. 11 cars at the finish maybe. Glad I found your site. I like your format rather than a forum. Now I have to watch practice on my computer. Not as HD and more of a hassle. Your English, so don't take offense, I am USA and your accent gets too me sometimes. I will try listening. I usually watch with the sound off and listen to classical music at the same time. Wow. At P1,P2 Haas has already done what the owner wanted. Get within .5 sec of Ferrari. So far they are the best of the rest and did beat one of the best, Red Bull. From the 2 previous seasons I was afraid they would be at the bottom. Williams doe not look good. Honda not much speed. Maclaren looks good. Alonso must be happy and his predictions may be good. I hope some one will start commenting. There must be someone else interested in the world. I was on F1 Tech forum, but I can not access them for some reason. I hope others are able to search and find this blog. I will try your forum site. My grandfather was a Hendry. I think Scottish. No trouble with the accent. Like Scotty on Star Trek. Grosjean I have a little trouble understanding sometimes. I comment on Space blogs and they have a lot of commenters.